Meditation is one of the greatest arts in life… When you learn about yourself, watch yourself, watch the way you walk, how you eat, what you say, the gossip, the hate, the jealousy-if you are aware of all that in yourself, without any choice, that is part of meditation. Mediation is hard work. It demands the highest form of discipline-not conformity, not imitation, not obedience -but a discipline which comes through constant awareness, not only of the things about you outwardly, but also inwardly. So meditation is not an activity of isolation but it is action in everyday life which demands co-operation, sensitivity and intelligence. To be aware is to be sensitive, to know, to observe, what is happening inside psychologically and also what is happening outside, environmentally, economically, socially and so on. If one is not aware of what is happening outwardly and one begins to be aware inwardly then one becomes rather neurotic. But if one begins to be aware of what is exactly happening in the world, as much as possible, and then from there moves inwardly, then one has a balance. Then there is a possibility of not deceiving oneself. One begins by being aware of what is happening outwardly and then one moves inward-like the ebb and flow of the tide, there is constant movement-so that there is no deception. If one knows what is happening outside and from there moves inward one then has criteria. Meditation is not something different from daily life; do not go off into the corner of a room and meditate for ten minutes, then come out of it and be a butcher-both metaphorically and actually. Meditation is one of the most serious things. You can do it all day, in the office, with the family, when you say to somebody, “I love you,” when you are considering your children. And when you so meditate you will find in it an extraordinary beauty; you will act rightly at every moment; and if you do not act rightly at a given moment it does not matter, you will pick it up again-you will not waste time in regret. Meditation is part of life, not something different from life. Meditation is not a means to an end; there is no end, no arrival; it is a movement in time and out of time… Choiceless awareness of every thought and feeling, understanding of their motives, their mechanism, allowing them to blossom, is the beginning of meditation. When thought and feeling flourish and die, meditation is the movement beyond time. In this movement there is ecstasy; in complete emptiness there is love, and with love there is destruction and creation. The body must be still, healthy and without strain; sensitivity of feeling must be sharpened and sustained; and the mind with all its chattering, disturbances and gropings must come to an end. It is not the organism that one must begin with, but rather it is the mind with its opinions, prejudices and self-interest that must be seen to. When the mind is healthy, vital and vigorous, then feeling wi11 be heightened and wi11 be extremely sensitive. Then the body, with its own natural intelligence, which hasn’t been spoiled by habit and taste, wi11 function as it should. We have to alter the structure of our society, its injustice, its appalling morality, the divisions it has created between man and man, the wars, the utter lack of affection and love that is destroying the world. If your meditation is only a personal matter, a thing which you personally enjoy, then it is not meditation.’ Meditation implies a complete radical change of the mind and the heart. This is only possible when there is this extraordinary sense of inward silence, and that alone brings about the religious mind. That mind knows what is sacred. I intended to send you one very small osoirvatebn just to thank you over again on the magnificent opinions you’ve shown in this case. It is pretty open-handed of people like you to provide publicly all that many individuals could have sold for an e book to help make some bucks on their own, and in particular seeing that you might well have done it in the event you desired. The tricks in addition served like a great way to recognize that other individuals have a similar zeal like mine to grasp whole lot more with respect to this issue. Certainly there are several more fun times in the future for those who read carefully your blog post. caan write if not it is difficult to write. not receive sufficient blood flow, the result is actually a cardiac arrest. problems with heart problems but, in Dr. 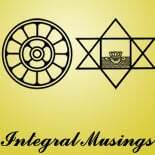 This entry was posted on December 1, 2012 by integralmusings in Words of the Masters.